A new Madrid red wine has arrived in the city. 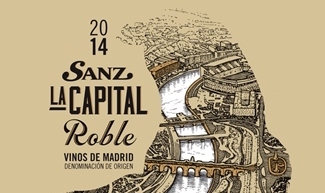 Vinos Sanz presents its varietal Sanz La Capital Roble, from the Denomination of Origin Wines of Madrid. The event is held on Wednesday, April 20 from 11:30 at Restaurante Viva Madrid (C / Manuel Fernández y González, 7). Sanz Introduces The Capital Roble Ana Carbajo, Commercial Director of Vinos Sanz. Daniel Orusco, oenologist and Technical Director of Bodegas Orusco, directs the tasting of wines as an expert in wines of the region. Among other authorities, Mr. Juan Bautista Orusco, President of the D.O. 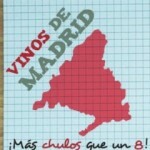 Vinos de Madrid. Access with invitation, after confirmation of attendance. The tasting begins two marriages of the young Sanz La Capital. First an intense but light entree, the croquettes Viva Madrid de morcillo with Iberian ham. Then, beans with oxtail potatoes, specialty of Lino Moreno from La Rioja, balance the strength of the red. Sanz Capital Oak debuts with stuffed peppers in tomato sauce. Due to its tannic load and to the presence of the wood, the pairing of the oak reaches its peak with the strength of the “callos” from Madrid of Viva Madrid. “We propose Vinos de Madrid as an alternative to Rioja and Ribera del Duero in bars and restaurants in Madrid,” says Ana Carbajo. “Both our young man and the oak are pleasant and good value for money,” he concludes. “Sanz La Capital Roble has a palate and frank aroma and leaves a pleasant aftertaste”, says Emilio González, manager of Viva Madrid. “Accompany the flavors of our meats, like the tail of a bull,” he adds. 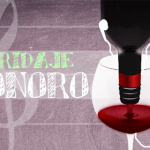 It is a red 100% Tempranillo from the shores of the Tajuña, in Valdilecha. “Her four-month stint for wood brings balance, maintaining the expressiveness of the red fruit of this grape,” says Sylvia Iglesias, Technical Director of Vinos Sanz and winemaker. Also born in 2015, happens to his namesake young in the Wines of Madrid collection of Vinos Sanz. In a daring bet of corporate image, the labels of Sanz La Capital and Sanz La Capital Roble reproduce two distinct landscapes of Madrid. The first shows the Paseo de la Castellana and the second the Madrid River area. 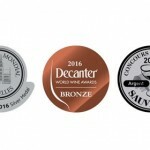 Both are far from the traditional wine labeling and its originality attracts the attention of the public in bars in Madrid and the rest of Spain. 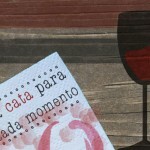 Under the slogan ‘Madrilízate’, the image campaign of Sanz La Capital tries to make the Madrid public identify with the wines of its region. 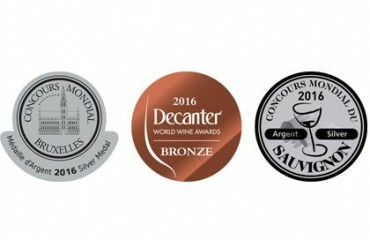 Its renewed website www.vinossanz.com keeps up to date news about the brand. Opened in 1856, Restaurante Viva Madrid (C / Manuel Fernández y González, 7) dispatched the wines from Rueda de Vinos Sanz back in 1927, the original date of the façade that the realist painter Amalia Viva immortalized in 1978. His painting Bar ‘Viva Madrid ‘Is exhibited in the Museum of Contemporary Art of the capital of Spain. In one of the two gates of the place is the old label of the oldest winery of the Denomination of Origin Rueda, founded in 1870. 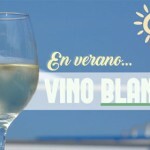 Since then six generations have taken care of the vines of verdejo and sauvignon blanc from their Castilian fields, About 100 hectares. Attractive cherry color, clean and bright. Red fruits accompanied by light tones of cocoa, vanilla and roasted. Franco and intense. Balanced, elegant and long. Friendly tannin that gives a pleasant velvety feel, without forgetting its power and great structure. Broad and fleshy.